Support SSD from MacBook Air 13 inch A1466, 2012 Model MD231 MD232,MacBook Air 11 inch A1465,2012 Model MD223 MD224. 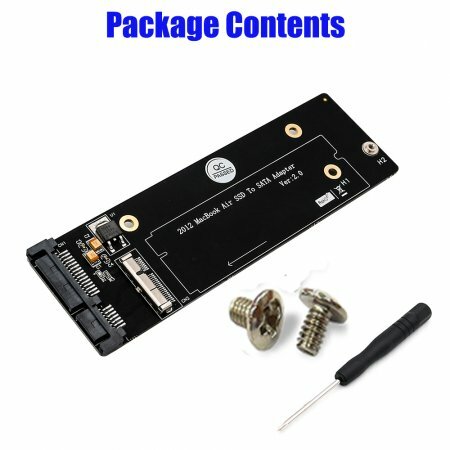 Support SSD from MacBook Pro 13 inch A1425, 2012 Model MD212 MD213, Early 2013 Model ME662. Support SSD from MacBook Pro 15 inch A1398, 2012 Model MC975 MC976,Early 2013 Model ME664 ME665. Support SSD from iMac 21 inch A1418,2012 Model MD093 MD094,iMac 27 inch A1419,2012 Model MD095 MD096. 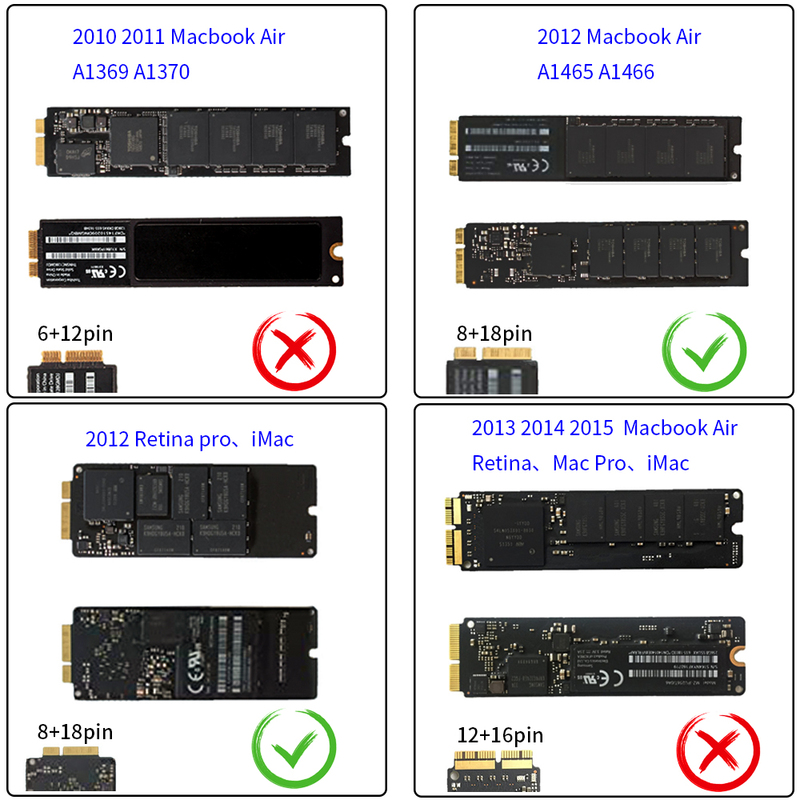 For Macbook Air A1465 A1466 SSD to SATA Converter,Please confirm the laptop models! 1: 2010 and 2011 version MacBook Air SSD is 6+12 pin, only one side have contact,size is 109 mm*24 mm.It's SATA interface. 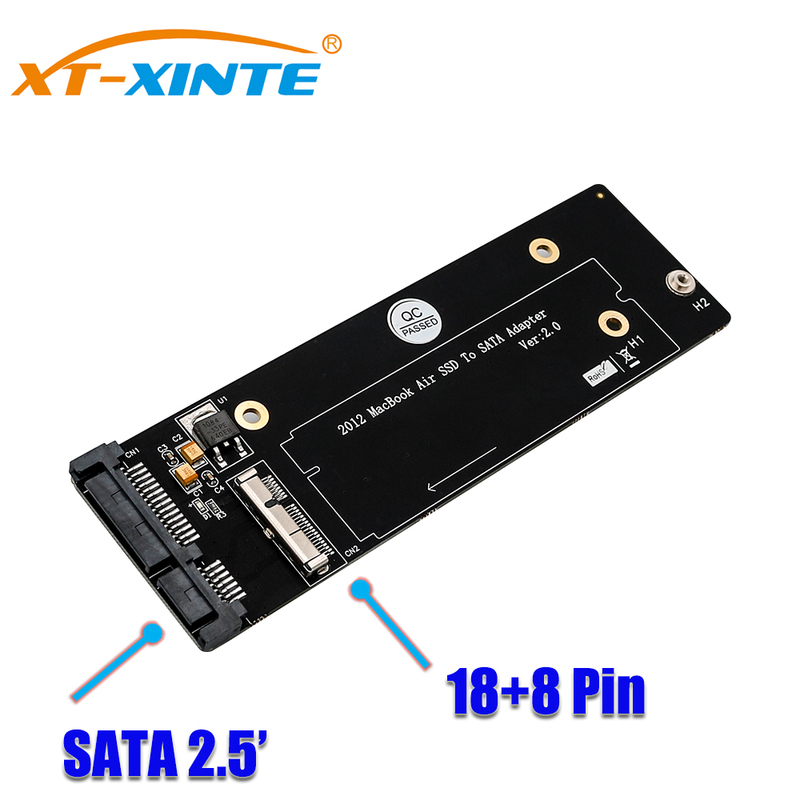 2: 2012 version MacBook Air SSD is 8+18 pin, size is 109 mm*24 mm.2012 version MacBook Pro SSD is 8+18 pin, size is 89 mm*33 mm.It's SATA interface. 3: 2013 and 2014 and 2015 version MacBook Air SSD is both side have contact,one side is 16+12 pin,the other side is 11+14 pin, size is 89 mm*24 mm. 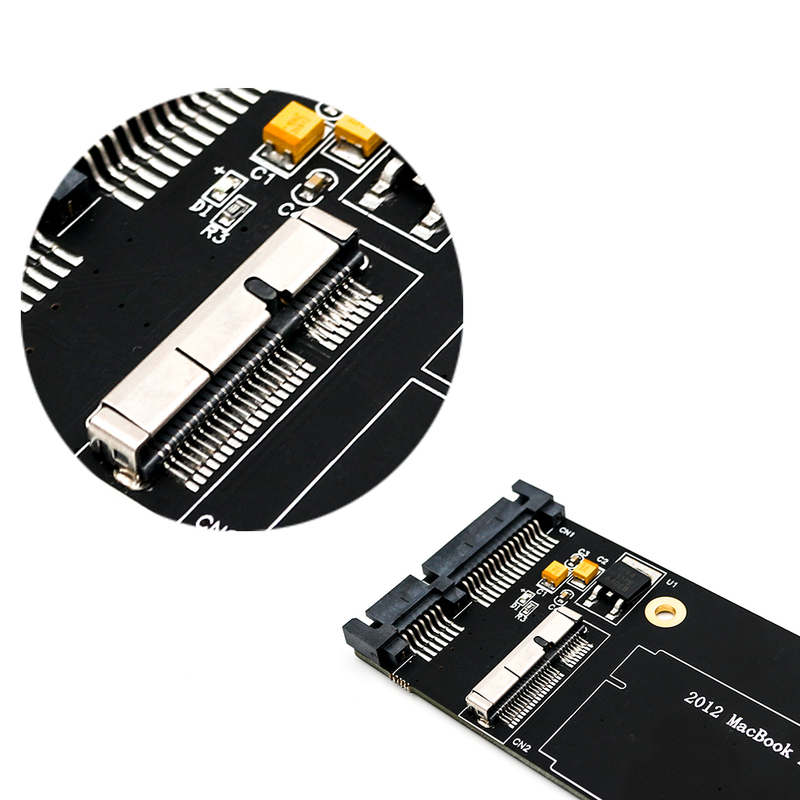 It's PCIe X4 interface.